Raytheon is very interested in expanding its hypersonics business, especially hypersonics defense capabilities, Raytheon chief executive Tom Kennedy said during a Thursday conference call with Wall Street analysts. “We think the hypersonic defense market is larger than the hypersonic market,” Kennedy said. There is a market for creating an offensive hypersonic attack system, Kennedy said. 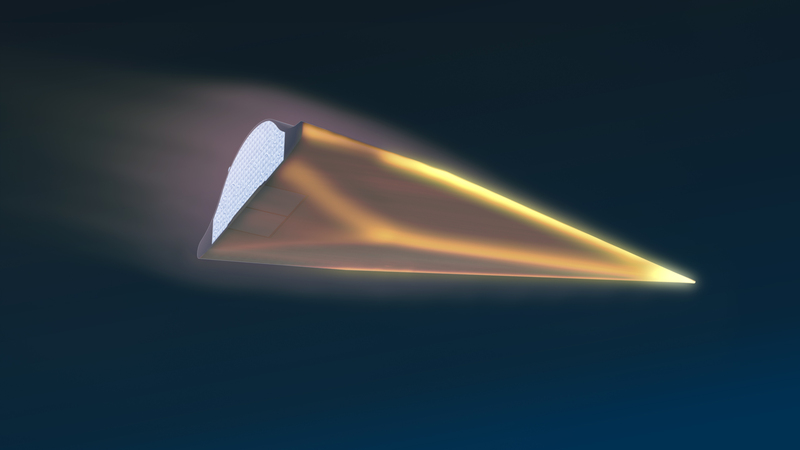 However, developing a hypersonics defense system involves creating the sensors used to track incoming hypersonic weapons and creating a vehicle that can successfully intercept the incoming projectile. Raytheon considers developing hypersonic technology a crucial part of its Missile Systems business’s ability to compete for future government contracts. With 2018 sales of $8.3 billion, Raytheon’s Missile Systems business is the largest division by sales, representing about 30 percent of Raytheon’s total $27.1 billion in sales for the year, according to the company’s recently filed fourth quarter financial report. In 2019, Raytheon expects the Missile Systems business to record sales of between $8.9 billion and $9.1 billion. In the meantime, Kennedy said Raytheon is pleased with the rollout of its new Naval Strike Missile (NSM). The Navy awarded Raytheon a $14.8-million contract for the first order of NSM, which will be used by both the Freedom and Independence variants of the Littoral Combat Ship. The contract has options that would total $847.6 million. “Our goal with NSM is to replace the existing domestic and international inventory of Harpoon and other international surface-to-surface missiles, making this another multi-billion franchise opportunity for the company,” Kennedy said. Raytheon also is marketing its Standard Missile-3 Block IIA missiles, which Kennedy said are the only such missiles that can be fired from land or sea and intercept a missile in space. The SM-3 Block IIA was jointly developed by the U.S. and Japan. “The SM3 Block IIA is ready for production,” Kennedy said.